Chess is a game played between two opponents on opposite sides of a board containing 64 squares of alternating colours. We’ll coach this Brain storming game adhering the rules of the game How the chess pieces to be moved, role of The King, The Queen, The Rook, The Bishop, The Knight, The Pawn, promotion, check and checkmate etc., through a talented and efficient coach. 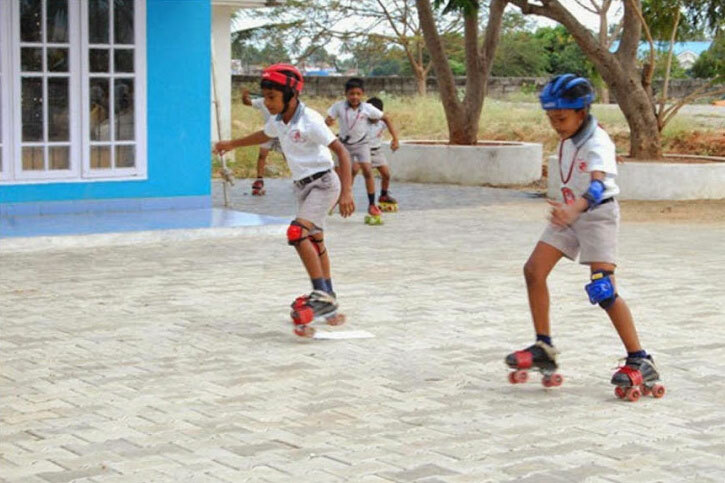 Skating is taught to the students using proper safety measures. 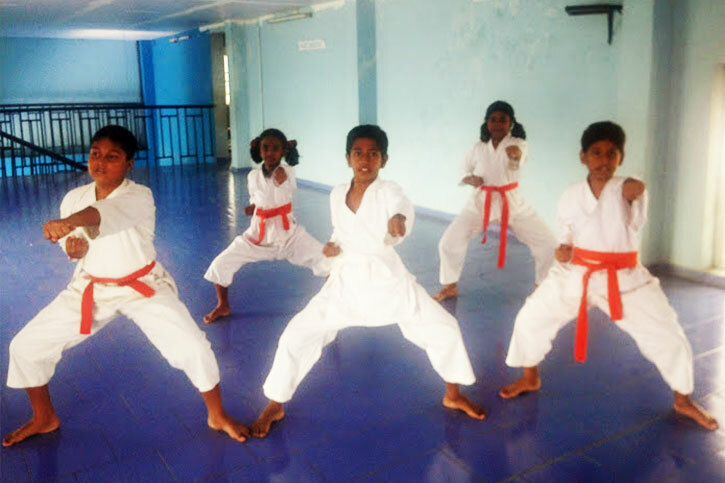 A martial art is taught to the students using various techniques, strokes and modern styles by a proper Karateka. TRISians are given the chance to have dance as part of their extra-curricular activity. The opportunity to develop the skills, knowledge and understanding of composing, performing and appreciating dance. Physical development, maintaining healthy lifestyles and wellbeing. As a part of extra- curricular and also in regular class, students are taught vocal music with proper pitch and rhythm through a trained music staff. Arts and crafts are fun for children and the young-at-heart. These art & craft activities cover a wide range of subjects for young artists, future artisanal book makers, potential puppeteers, and more. These aren’t just arts and crafts for our students; they’re fun for the whole family too! Our selection of art projects for our students, DIY (Do it yourself) activities and decoration ideas also provide excellent inspiration for craft ideas for our students. 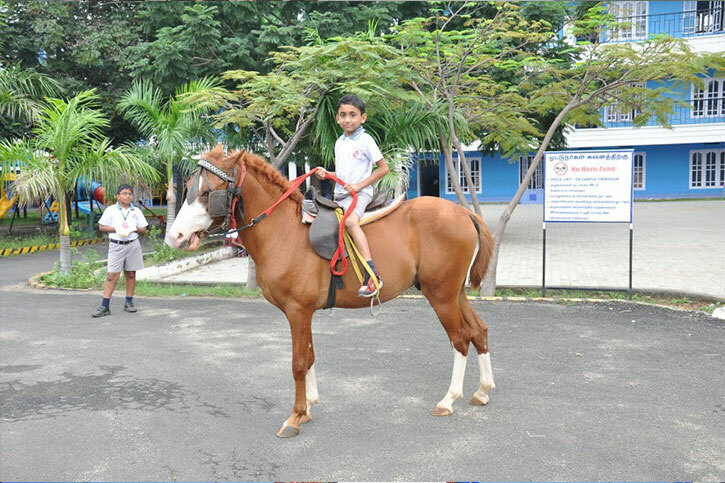 The skill of horse riding is imparted to gain self-confidence, to increase their strength in mind and their competitive spirit. 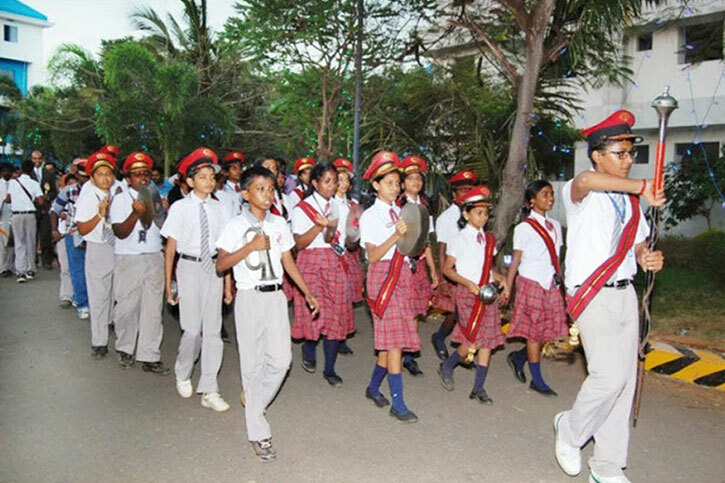 A group of student musicians trained and rehearsed to perform instruments with a proper beat in drums and march etc., Every occasion is highlighted with the team of band students to welcome the chief guests. It is the first base to learn Piano. 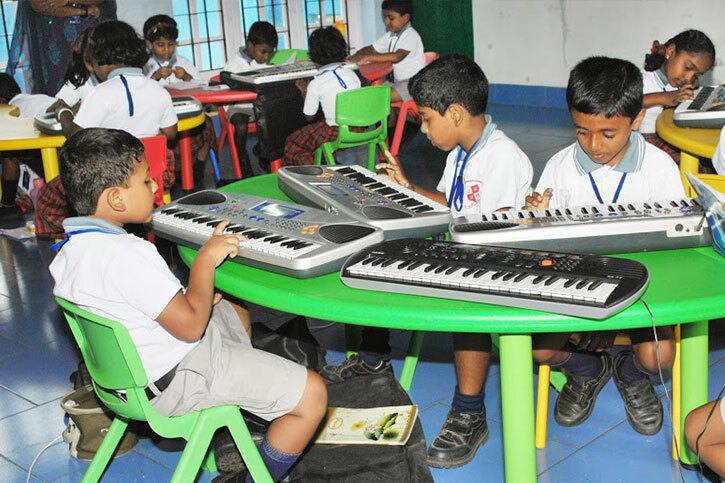 Learning KEYBOARD in younger age might help them to shine as a music director in later years. 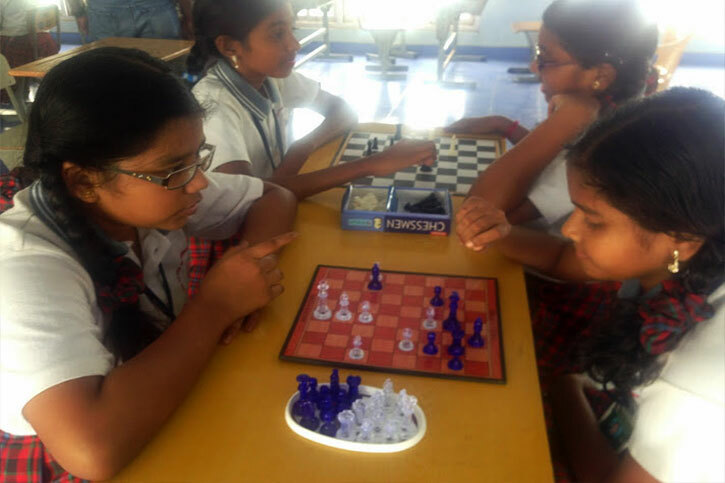 Proper training is given on these basis and we help in participating for competitions in other schools. It is an ideal exercise for brain coordination, fingers flexibility and so on. 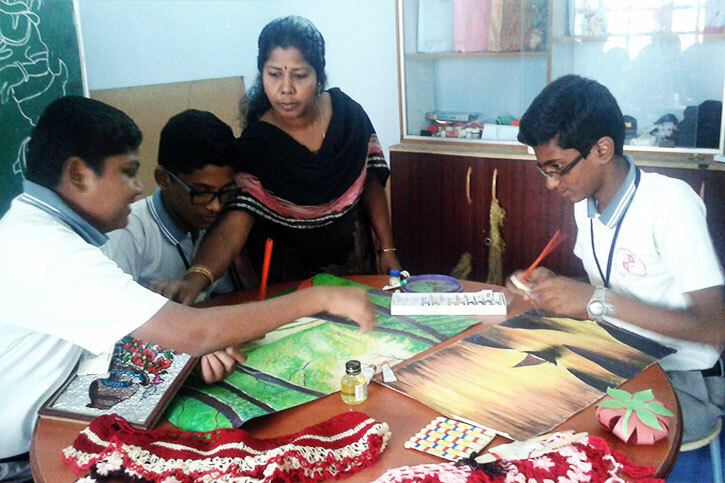 We train the students as a part of EC activity. Yoga – the art of physical, mental and spiritual practice or discipline to transform body and mind is given training in an excellent manner.